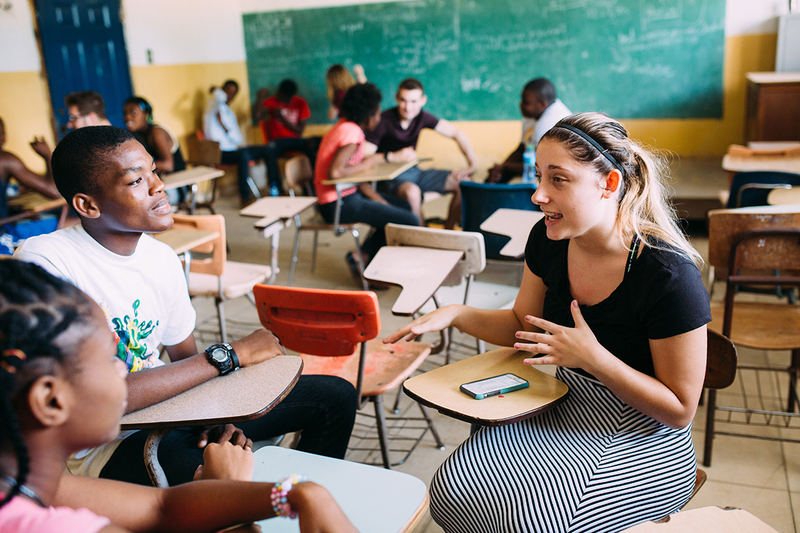 Eleven students traveled to Ouanaminthe, Haiti, late last year to learn about its people and culture. They also learned much about themselves. 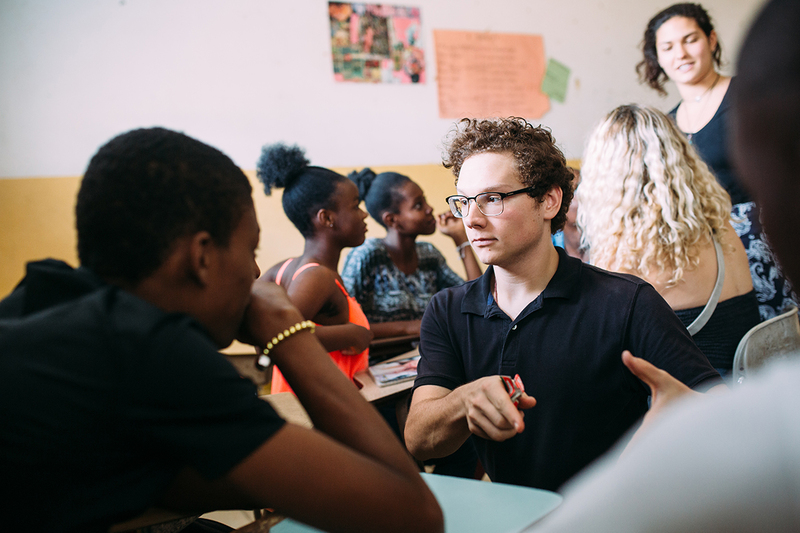 Engineering major Matt Hlas stood in front of a classroom of 30 Haitian students, chalk moistening between his fingers in the stifling heat, sweat beading his brow, car horns blaring outside, while he taught them to pronounce the names of fruits in English. To say that he was uncomfortable would be an understatement. 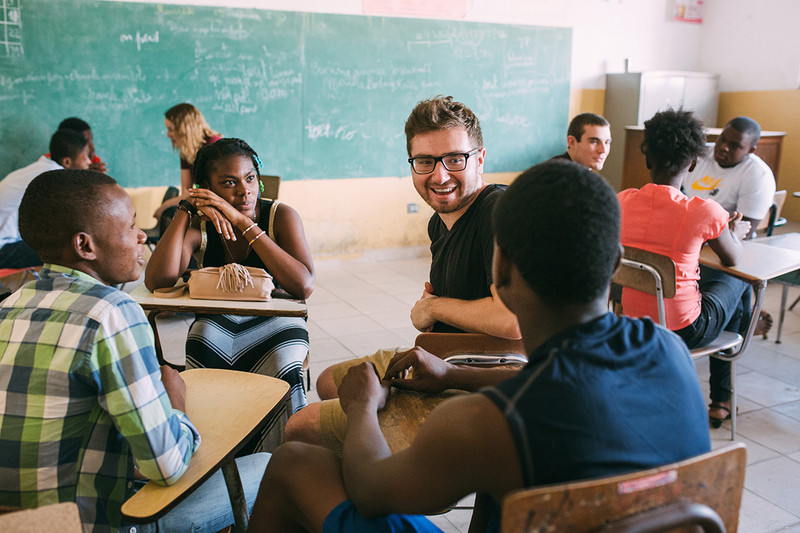 Yet, Hlas, on his third service and learning trip to Haiti, would not have it any other way. The world can be viewed as a mirror, reflecting our ourselves and our concerns, or as a window – an opening whereby we see, with the clarity of compassion, into the lives of others. Joanna Cardarelli, a junior education major at UA, spent last December learning to look through the mirror to the other side – to a world far different from her own. 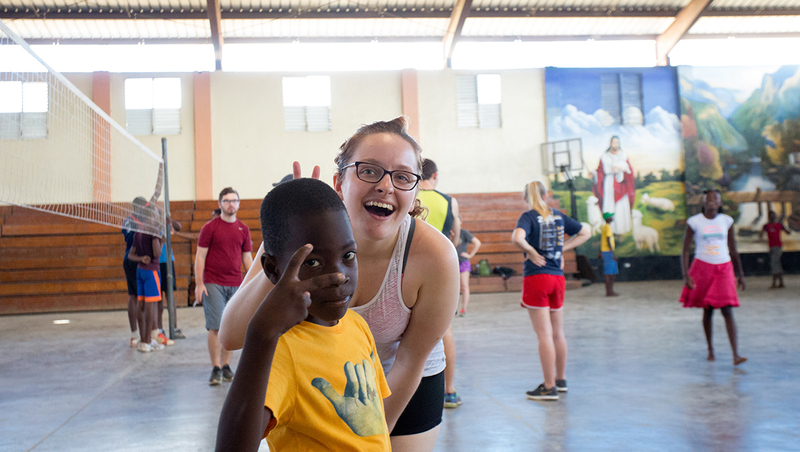 When it comes to effective communication, words are optional for Olivia Biss, a communication major at The University of Akron who, on a service and learning trip to Haiti, discovered the eloquence of what she calls the non-verbal, universal language: dancing. Whether it be salsa, waltz or hip-hop dancing, Biss says dancing is a form of expression that, throughout the world, brings joy to others. And that is exactly what she, now a dance minor, singer and actor, intends to do. 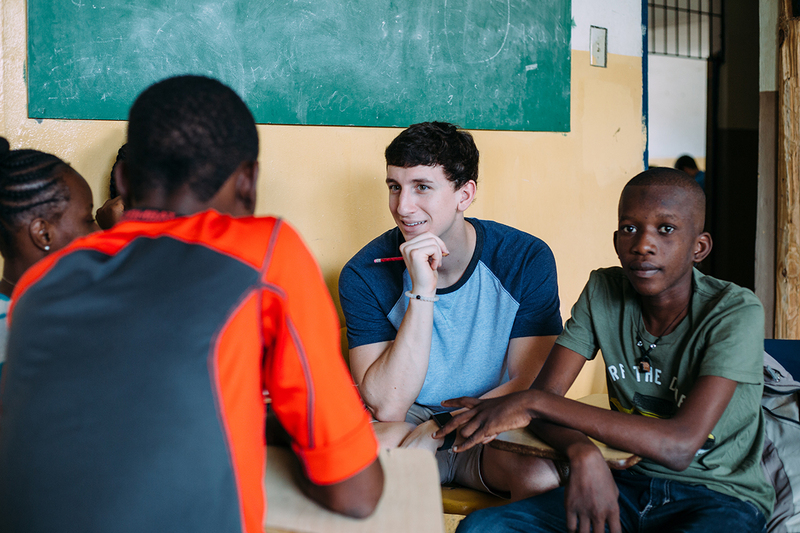 When University of Akron education major Joe Paolucci went to Haiti on a service and learning trip, he perceived, beyond the waste and wreckage of a poverty-stricken country, the beauty of paradise. He saw something similar in the Haitian students to whom he taught English: an eagerness and passion which, like the plants that sprouted through the town’s rubble, testified to the innate power within the human person. Now, returning home, Paolucci is ready to spot and nourish that seed of potential in each of his American students. “Psychology” is, properly speaking, the “study of the soul” (which in Greek is called the “psyche”). 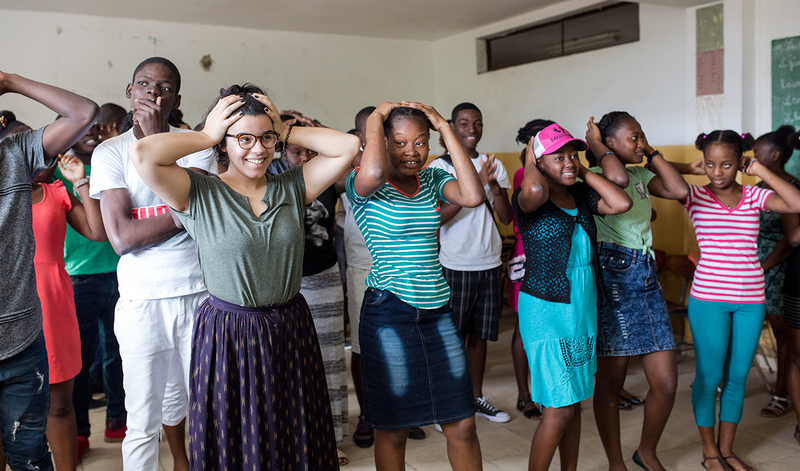 University of Akron psychology major Alexia Santiago traveled to Haiti on a service and learning trip to study that soul in all its splendor – in the sorrows and joys of a people plagued with economic hardship, but filled with hope. Sometimes the most daunting mountains to climb, like the most frightful foes, are the ones in our minds. 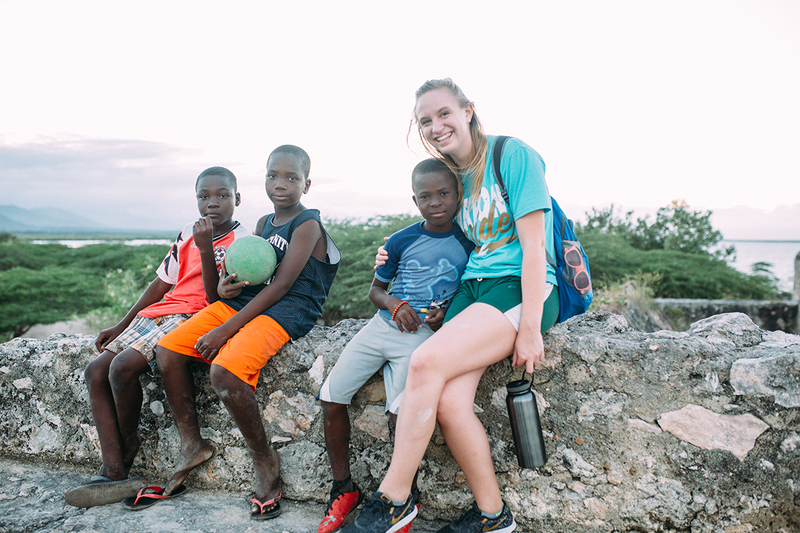 Amanda Bauman, a biology major at The University of Akron, was nervous about her upcoming service and learning trip to Haiti, and was determined to approach the whole experience at an arm’s length. When she and her trip mates set out to climb a mountain, she stood at its foot, like David before Goliath, armed with hand sanitizer instead of a slingshot, and overwhelmed with anxiety. Yet, with the help of the Haitian people, she summoned the courage to climb – and defeated her most menacing mental monster. Marie Morris, a psychology major at The University of Akron, used to draw pictures of a grand home, with children playing in the yard, and a sign that reads, “Maria’s Foster Home.” An adopted child herself, she always had a special tenderness for children, and wanted to spend her life taking care of them. But it was not until she went on a service and learning trip to Haiti that Morris learned what neither her childhood dreams, nor her textbooks, could teach her about what it means to take care of others – a lesson that will guide her as a child psychologist and counselor. To be “educated,” means, in its Latin root, to be “led out.” Zachary Fulmer, a former education and current business major at The University of Akron, spent most of his adolescence in the darkness of solitude, a self-described loner. That is, until, following an irresistible impulse, he traveled to Haiti on a service and learning trip. There, something happened: what he calls an “epiphany,” in which the purpose of his life became as clear as the noonday sun. Now, he lives as one who has emerged from a dark cave, and into a future bright with meaning, and warm with human relationships. See all that Akron has to offer during a visit to campus. It's easy to set one up! We also invite you to apply for admission.